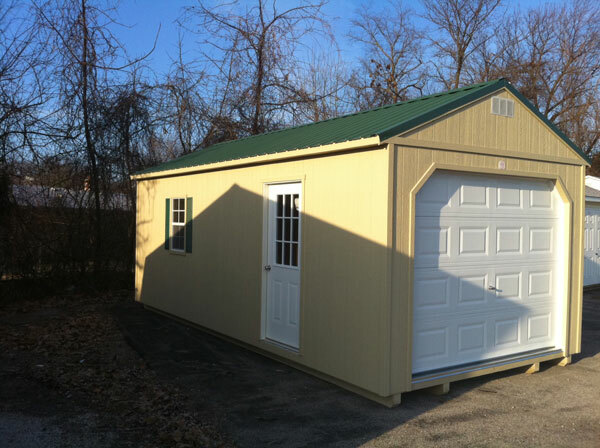 The Garage is the perfect storage building for your ATV, Garden Tractor, or that project car you are working on. This Portable Garage also works great for other valuables, large tool items, motorcycles & more. 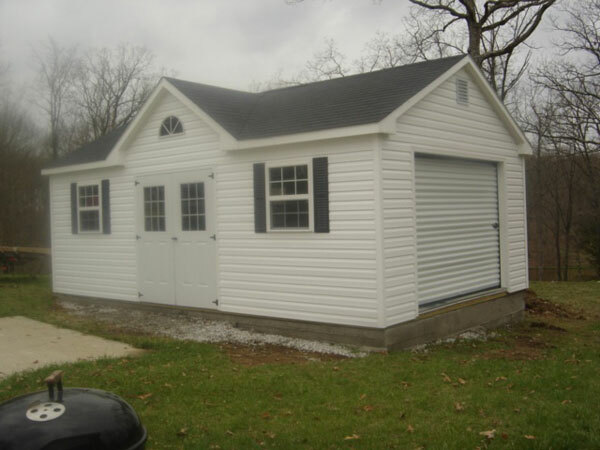 This building comes standard with 9×7 garage door, 9 lite entry door, & 1 window. Increase the functionality of your building! We also offer vinyl siding as a maintenance free option or to match the exterior of your home. Vinyl siding is a type of weatherproof plastic siding that never needs painting and is available in a wide variety of colors. Click any of the images below to see a larger version of the image. Contact Us for more information on how we can solve your storage problem! The perfect opportunity to have your own storage building on your property rather than paying rent at the mini storage. Ask an associate for more information.